Our very own 2015 Business Man of the Year has been practicing dentistry in Mariposa since 1984. Aside from his many educational and professional achievements, Dr. Tom enjoys hiking and photography, as well as spending time with his first grandchild. When he’s not busy handling the complex dental cases of Yosemite Dental Care, he dreams of someday hiking the John Muir trail. Since returning from practicing dentistry on Wall Street in New York City, Dr. Tim has been instrumental in guiding business growth and adoption of new technologies at Yosemite Dental Care. A Mariposa native, Dr. Tim also enjoys backpacking, travel, and cooking delicious food. Dr. Tim is excited to have his fiancé, Dr. Karen, working at his side. Since joining Yosemite Dental Care in June 2016, Dr. Karen has rapidly become one of the most loved and tireless forces in the office. Dr. Karen never steps down from a challenge, and she always goes the extra mile for her patients and co-workers. Dr. Karen is excited to raise her first child in Mariposa with Dr. Tim. She enjoys hiking, backpacking, running half-marathons, and all things Disney. Jeffery Kaze, DMD graduated from The University of Louisville, School of Dentistry in 1997. During the past 20 years he has worked as a general dentist for the Veterans Administration, private practice, community clinics and most recently (before coming to Mariposa) has been an assistant professor of general dentistry for the University of Tennessee. Good oral hygiene is the core of Yosemite Dental Care. In our hygiene-focused practice, it is difficult to make it through the door without some thorough attention from one of our skilled hygienists. All of our hygienists hold your oral health as their top priority, and they work seamlessly in conjunction with our doctors in facilitating your first and regular visits to our office. A regular dental cleaning is the first step in maintaining good oral health. Yosemite Dental provides excellent care and attention in keeping your teeth nice and clean! Nothing is standing in the way of achieving your optimum oral health at Yosemite Dental Care! Yosemite Dental Care believes that we should make the most of every opportunity to monitor and diagnose our patients’ oral health needs. During your cleaning appointment, a doctor will always be there to talk with you and answer your questions. Yosemite Dental Care employs the latest in radiographic imaging technology. A panoramic x-ray is perfect for diagnosis of impacted wisdom teeth or other hard-to-reach areas, especially if you have a strong gag reflex, small mouth, or have other difficulties with traditional x-rays. A crown is now possible in one visit thanks to CEREC by Sirona. Get a beautiful, all-ceramic crown completed in 2 hours at Yosemite Dental Care with no second visit necessary. All of our crowns are computer designed and fabricated in-office from highest quality ceramic materials. Dentures and partials are a great, affordable option for replacing multiple missing teeth. Get the most bang for your buck with a full-spectrum prosthesis - custom fitted, designed, and fabricated in house by our very own Michele Kish, CDT. Enhancements are available for existing dentures, including everything from new soft liners to implant retention. Straighten your teeth in months, not years! 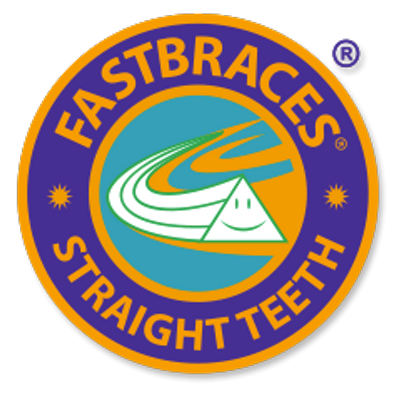 Fast Braces is a streamlined alternative to traditional orthodontics. Tired of traveling long distances to see an orthodontist? Keep all of your treatment under one roof with patented Fast Braces technology. Request a complimentary consultation from Dr. Tom or Dr. Karen to begin your treatment today! A simple way to brighten your day and your smile! Yosemite Dental Care provides in-office and at-home options for whitening your teeth -- a quick way to beautify your smile before a special occasion. The ultimate expression of modern technology in dentistry, dental implants are the most life-like replacement for missing teeth. Surgical-grade titanium implants allow our doctors to create the foundation for new teeth without damaging adjacent teeth or creating areas which trap food and are difficult to clean. With 3-D radiographic imaging in-house, we can plan the safest and best way to replace your missing teeth. The doctors at Yosemite Dental Care are qualified to extract impacted wisdom teeth and save you a trip to the oral surgeon. We don’t believe that every wisdom tooth is bad, but we can advise you whether your’s or your child’s 3rd molars could present a problem in the future. Don’t forget to ask about our sedation options!